Chase loves his aunts and uncles! He loves being around family and spending time with each one of them. Here are some pictures from Nick and Sara's wedding...Chase was in heaven being part of all the attention. Oh those are sweet! You can tell how much they adore him too! He is SUPER cute! Great pictures and layouts! 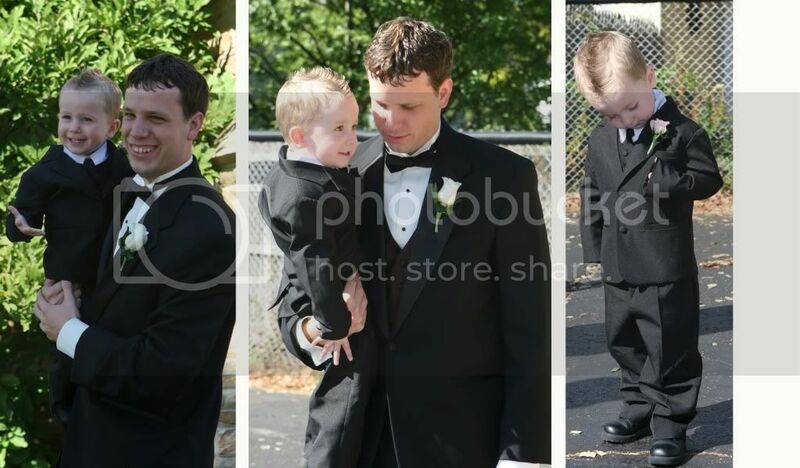 What a little stud muffin in his itty-bitty tux! !